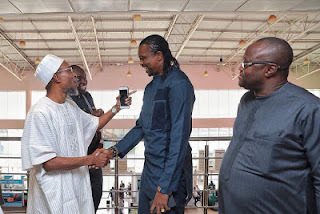 Osun State Governor, Rauf Aregbesola on Wednesday, 24th September received Legendary Super Eagles footballer Kanu Nwankwo Aka Papilo. "Football is a love language spoken worldwide. A true @Arsenal fan meets a legendary arsenal player"